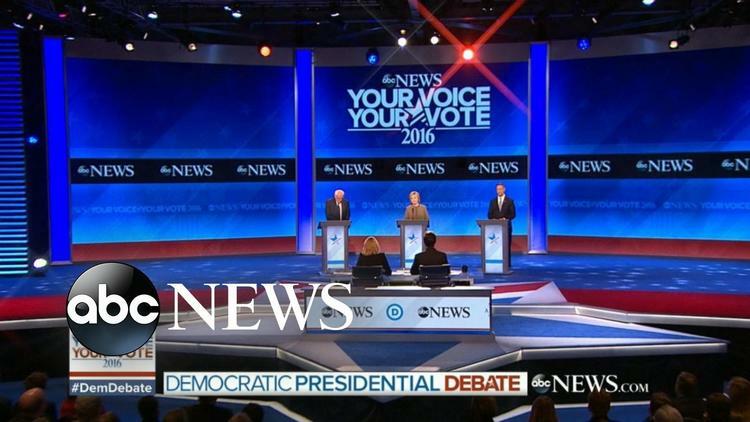 The second Saturday-night Democratic debate had a lot of discussion on foreign policy. It is a shame that the Democratic National Convention put it on a Saturday, when its audience was much lower. Many Bernie Sanders supporters believe that the DNC supports Sec. Hillary Clinton and is deliberately attempting to avoid giving Sanders more public exposure. The Dems did try to keep some of their focus on attacking the Republicans rather than tearing down each other. CLINTON: “You know, I was a senator from New York after 9/11, and we spent countless hours trying to figure out how to protect the city and the state from perhaps additional attacks. One of the best things that was done, and George W. Bush did this and I give him credit, was to reach out to Muslim Americans and say, we’re in this together. You are not our adversary, you are our partner. Sec. Clinton is correct that Trump is playing into the trap set by Daesh (ISIS, ISIL), which wants to polarize Christians and Muslims and drive Muslims into joining its ranks. On the other hand, 9/11 was not committed by American Muslims and they shouldn’t be held responsible for it or dragooned into being junior FBI agents just because of their religion. They have the same responsibility to speak up if they see people plotting violence as everyone else. But we don’t typically draft evangelicals into watching that none of their members goes postal and shoots up a Planned Parenthood clinic. That Clinton wants to continue this Bushism is a little disturbing. “Our people are fearful. They are anxious on a number of levels. They are anxious about international terrorism and the possibility of another attack on America. We all understand that. But you know what else they’re anxious about? They’re anxious about the fact that they are working incredibly long hours, they’re worried about their kids, and they’re seeing all the new income and wealth — virtually all of it — going to the top 1 percent. And they’re looking around them, and they’re looking at Washington, and they’re saying the rich are getting much richer, I’m getting poorer, what are you going to do about it? What are you going to do for my kids? And somebody like a Trump comes along and says, “I know the answers. The answer is that all of the Mexicans, they’re criminals and rapists, we’ve got to hate the Mexicans. Those are your enemies. We hate all the Muslims, because all of the Muslims are terrorists. We’ve got to hate the Muslims.” Meanwhile, the rich get richer. That’s about as succinct and clear-sighted description of what is going on as you could hope to have. The big divide that emerged between Sec. Clinton and Sen. Sanders was over Syria policy. Clinton maintained that the US had to attempt to overthrown Syrian dictator Bashar al-Assad at the same time as it attempted to crush Daesh (ISIS, ISIL). “CLINTON: I think we’re missing the point here. We are doing both at the same time. Both Sen. Sanders and Sec. Clinton make fair points. It certainly is that case, as Sanders argues, that it is more pressing to crush Daesh than to see the Syrian government overthrown. In fact, if you overthrow the Baath government first, what would stop Daesh from sweeping into Damascus and taking over Syria? On the other hand, the US has attempted to create anti-Daesh coalitions on the ground among Arab fighters, and they have foundered because the Syrian rebels don’t want to fight other rebels, they want to fight al-Assad. So if you tell the Syrian revolutionaries you support them but you’re going to let Assad stay there for several years while you get rid of Daesh, you will alienate the rebels. Secretary of Defense Ash Carter’s approach has been to cooperate most closely with the leftist Syrian Kurds and the small force of their Arab allies in the country’s northeast, since they are willing to fight Daesh first and consider it much more deadly than the regime. In fact, in Hasaka the leftist Kurds have a tactical alliance with the Syrian Arab Army, which makes them anathema to the Arab rebels of the northwest, who are tactically allied with al-Qaeda. No one brought up this uncomfortable reality, that the most effective Saudi-backed rebel forces are allied with al-Qaeda in Syria (the Nusra Front), which reports to 9/11 planner Ayman al-Zawahiri. The US is effectively allied with allies of al-Qaeda in the northwest, and the most likely result of a quick overthrow of the regime is that much of Syria goes into the control of al-Qaeda or its close friends. I have to say that I think Sanders won this part of the debate, just because his position is more coherent and practical. Overthrowing Daesh and al-Assad simultaneously is a tall order, more especially when the latter overthrow will heavily involve and will benefit al-Qaeda. I don’t think the overthrow of Mubarak was what led to a return to military rule. The military relinquished a lot of power in 2011-2013. I think it was the accidental election of an intransigent Muslim Brotherhood government that provoked the combined revolution and military coup (what I called a “revocouption” in summer of 2013. Well, apparently it is only when the dictator turns anti-American. “But I think — and I say this with due respect — that I worry too much that Secretary Clinton is too much into regime change and a little bit too aggressive without knowing what the unintended consequences might be. Actually, I think both of them missed the real difficulty, which is that Gulf states shipped in a lot of RPGs and other weapons to the rebels during the revolution, creating heavily armed militias that have refused to demobilize to this day. It wasn’t the no-fly zone or the urban Libyan overthrow of Gaddafi that caused the problems. On the other hand, Sanders’ hope that the key anti-terrorism and anti-insurgency work in the Middle East that the US wants done will be done, with the right pressure or inducements, by little Jordan or by Saudi Arabia, is more hopeful than realistic.